For Christmas this year I was given an amazing present. 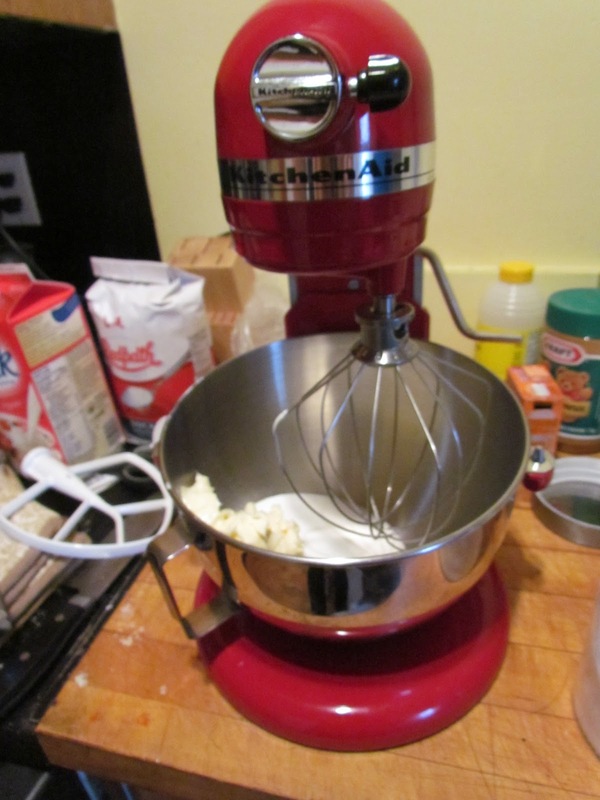 A beautiful shiny red kitchen aid stand mixer. I have been lusting over this bad boy for years and didn’t expect to own one for years to come. Luckily for me my parent’s surprised me with one. I have decided to name her Your Majesty. It took me awhile to decide what recipe to christen it with. My sister came to visit and she and the Boyfriend convinced me to bake them a cake. A classic and classy vanilla cake. Can I just say that everything is easier and fluffier when made with a stand mixer? Creaming together some sugar and margarine has never been so much fun! A double layer cake is always better then a single layer. 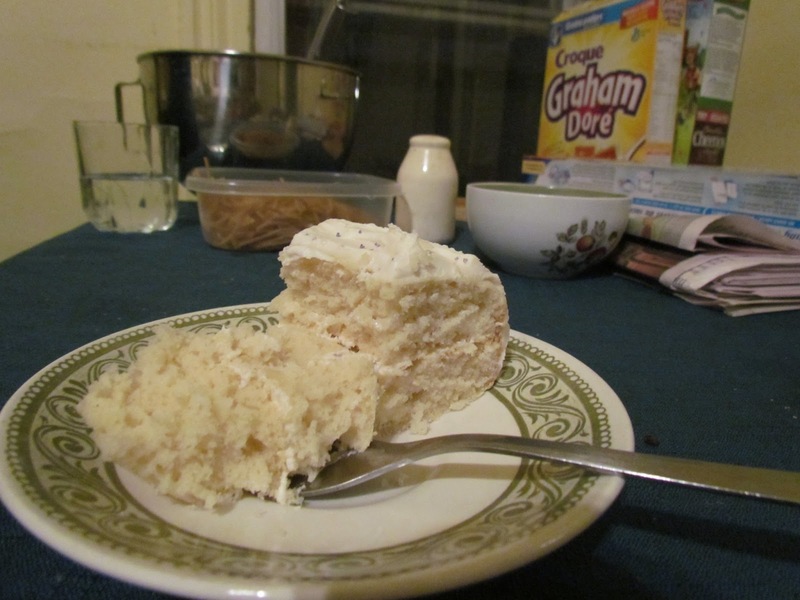 Double layer means double the frosting and I challenge you to find somebody who does not want double the frosting. 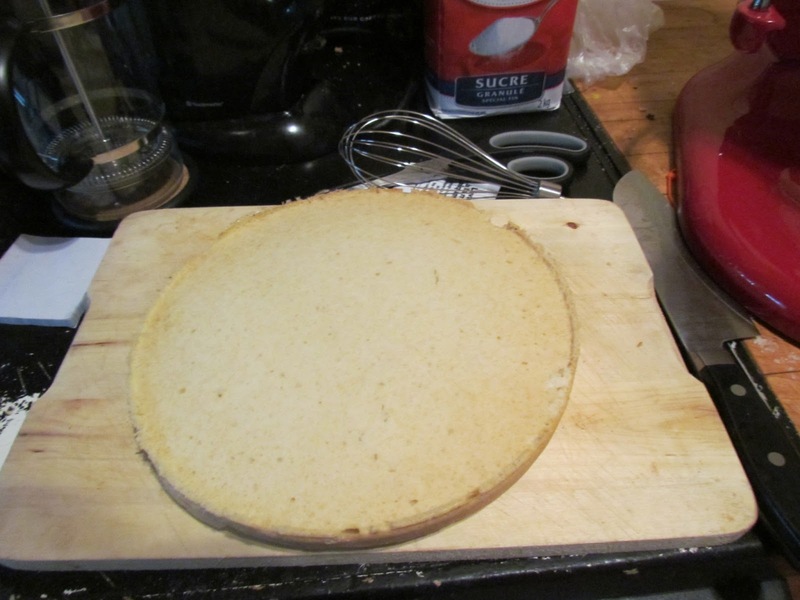 To start with it kind of looks like a gigantic whoopie pie . 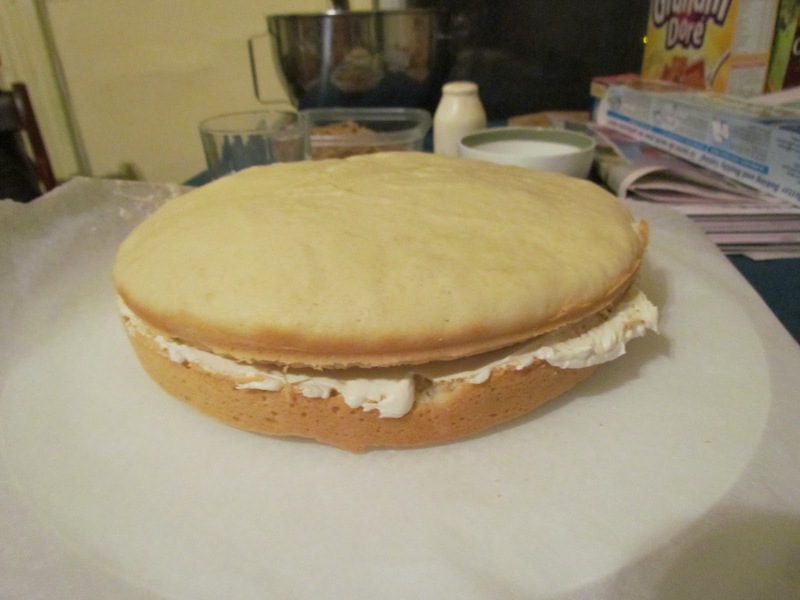 . . kind of inspired me to look into making whoopie pies, but that’s another post! It may not be a perfectly beautiful cake (still working on my frosting technique) but some sprinkles go a long way. 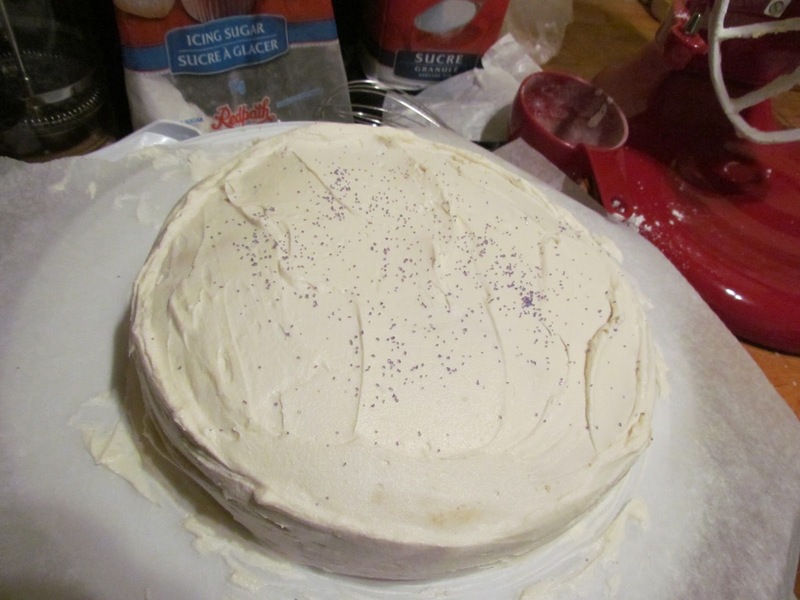 Light and fluffy cake with a silky buttercream frosting. Delicious, classy and there were left overs. The best of all worlds!